Rooted in family. Rooted in friendship. Rooted in community. Rooted in the fullness of God. Happy New Year! I’ve never been big on New Year’s resolutions. Maybe I feel like I’m just setting myself up for failure. But with a clean slate at the New Year, it’s an ideal time for me to consider some healthier goals. Maybe more cardio. (The ‘maybe’ gives me leeway.) Maybe healthier eating. (Maybe not.) But one of my goals in 2019 is definitely to seek healthier tech habits for myself and our family. Technology and smart devices bring us many wonderful benefits, yet all of these screens bring specific challenges to our family too. 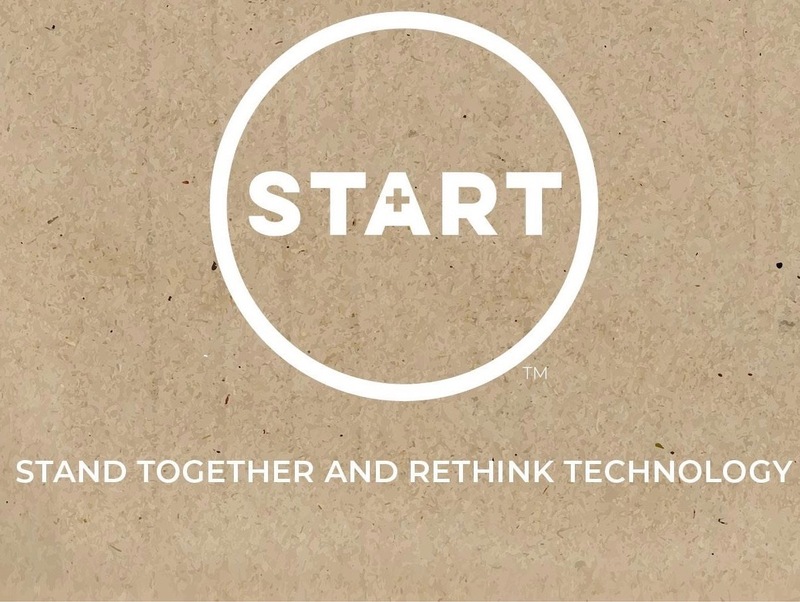 This past year, I was introduced to and have had the honor of getting involved with an organization called START – Stand Together and Rethink Technology. What I love about START is that its mission completely acknowledges that technology is not a bad thing! Yet, there are also unintended consequences that we are beginning to feel within our very own homes and communities. START has come alongside our family to help us realize and integrate a healthier lifestyle around tech use and screens in our home. We definitely don’t have it all figured out; we continue to just try to do our best day-to-day with our family’s technology norms and expectations. Since each family has its own needs, values, and priorities, I certainly won’t try to tell you how tech can best be integrated in your home. But, I am excited to share with you about START. Check it out at www.westartnow.org. Even for those of you who don’t live in Kansas City, the new blog can be a great resource. It launched this January and will have a different theme each month. And the START Facebook page will share tips and articles in line with the month’s theme. You can read a post I wrote about how START has impacted our family on the blog here: START Three-Part Parent Program. And you can read about this month’s theme here: Device Bedtimes. With the ever-changing landscape of technology, I’m thankful to have an organization like START to help guide our family. I may not be a big fan of New Year’s resolutions, but I will be resolute in my effort to put people before screens this year. Join me? It’s the first week of summer break. Like many mamas, I’m taking it a little slower this week…relishing in the fact that no lunches need to be packed…there’s no morning bell to beat…no spelling words to study. But at the same time, as summer has been approaching, I have been bracing for impact. Summer will bring a lot more…quality?…time at home with my kiddos. Each summer gets less and less exhausting as the kids are getting older. But, I know there will be bickering, there will be yelling, and there will be tears. I just hope its not mostly from me. Whatever this summer holds for any of us…whether its lots more time at home with the kids, a more stressful routine of balancing kids and work, difficult relationships, or even bigger transitions looming in the Fall – there will be joys, pains, and challenges. More often than not, we feel ourselves bracing for impact. “Don’t let the impact of the world shatter your thinking or draw you away from focusing on Me.” Sarah Young, Jesus Calling, May 22. The great God of the Universe wants us to put our focus on Him, to seek His face, feel his deep love, and be still in His presence as we face each new day. I love the concept of ‘making space’ for God. I was recently taught that even when we use God’s gifts to capacity, we are called to still hold space for God. Without making time to focus on God each day, the impact of the world (and the little people whom I love so much) will no doubt bring out the worst in me. My goal this summer is to make space for God. Rather than bracing for impact, I want to feel His loving embrace. Love, joy, peace, patience, kindness, goodness, faithfulness, gentleness, and self control. These are the fruits of the Spirit. These particular virtues have been on my heart for a few years now. Perhaps because they are ideal virtues to teach our little ones…Perhaps, because they are ideal virtues for us as adults in a broken world. I struggle.sooo.much to be patient and gentle with my children. Will you join me in planting seeds as we head into summer? The fruits of the Spirit have already been gifted to us. But we must nurture them to see growth. For me, it’s only by making space for God and watering the dryest parts of my soul. Then, we pour out our love to the world around us. Now that’s worthwhile impact. My second area of focus is with my family. I am with them almost all of the time. But my goal isn’t particularly lofty… really my goal is to just to show up. Not just physically, but also emotionally and playfully. I want to play more with my kids. To be less distracted by mundane daily chores and social media and communication. I don’t think I’m alone in this boat. I saw this amazing Spanish Ikea commercial last week (on social media, of course). It really impacted me. Given the choice between getting anything they could imagine from Santa or spending time with their parents, the children in the interview chose the quality time. The video is touching – take a look. It made me think about opportunities to renew my self in 2015. Last week, at Solana Beach Presbyterian Church, Senior Pastor Mike McClenahan shared some valuable thoughts on renewal that poked at my heart. I think that there are great take-aways here whether or not you are a Christian. The pastor encouraged us to think like Jesus, to act like Jesus, and to be like Jesus. Okay, that’s a lot of pressure for a girl who never wore a WWJD bracelet. Regardless of your faith, it’s hard to deny that Jesus was a pretty stand-up guy. We’re talking about a man who encouraged people to love above all. Not to judge. To treat others as you would want to be treated. To honor our parents. To forgive. To serve. To take care of the poor. To welcome children and to be like them. He was man who spent time with untouchable people, prostitutes, and the greediest of tax collectors. Jesus was cool. Romans 12 encourages us to “not conform to the patterns of this world, but be transformed by the renewing of your mind.” So, I think renewal is a good place to start, no matter what month it is, no matter how many times I have to renew myself. Have you ever seen the bumper sticker that says, “I love your Christ. I just don’t love your Christians.”? Without daily renewal, I have no hope. WWJD is a heck of a lot of pressure. But, if I can just focus on the basics of being like Jesus – loving and serving others – then just showing up (and playing) is enough for me this year. In what areas of your life would you like to see renewal in 2015? This past Sunday, Pastor Mike McClenahan reminded me that not only was Jesus born on Christmas as our God on this earth. But he grew into a man who taught us what love really looks like…what it really means to show up. I love the idea of a fresh start on January 1, but renewal is just as available to us on the other 364 days of the year. And this year, I’m going to remind myself that renewal is an option every day. Sounds much better than focusing on failure to me. Talk about taking off the pressure. Daily renewal is going to help me show up. To love. To forgive. To serve. And to simply play with my children and maybe even be more like them. Pretty sure I’ll need renewal in August as much as January. Happy ReNew Year! –Scandal of Grace by Hillsong United. Mom to 4. Wife of my best friend. Rooted wherever I am. I am doing something I thought I would never do. I am creating a blog. I am not creating a blog because I think you will love my writing. I am creating a blog because I love to write. Quite often, my heart overflows in words, and until I get them down, it’s hard to focus on anything else. I just discovered in 2013 that I like to write. I think I came out of a 7+ year fog of pregnancies, newborns, and infants. I love to share my heart, and I’ve learned that I do it much better through writing than verbal communication. You should know that I am nervous. I do better one-on-one with people. So, sharing, en masse, is daunting. 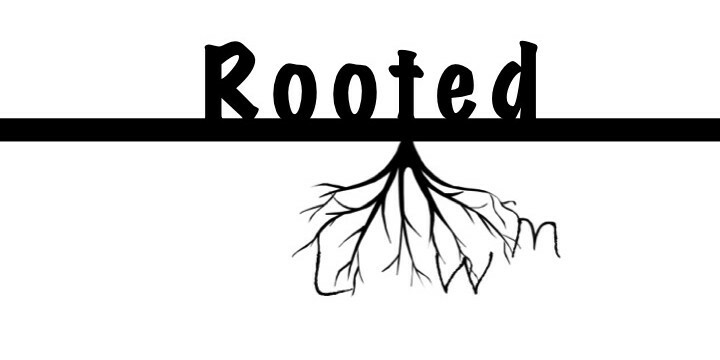 I have titled my blog ‘Rooted’. Because I want everything I do, say, or write (whether or not it has anything to do with my faith) to be driven by the fact that I am rooted in love, specifically the love of Christ. My blog’s title refers to one of my favorite verses – “… And I pray that you, being rooted and established in love, may have the power, together with all the saints, to grasp how wide and long and high and deep is the love of Christ, and to know this love that surpasses knowledge – that you may be filled to the measure of all the fullness of God.” (Ephesians 3:17-19) And on the days when I can even begin to grasp how grasp how wide and long and high and deep is the love of Christ, I know a peace and a joy that truly does surpass all knowledge and fills me to the measure. And that same deep peace and joy is my prayer for my friends. My family. My readers. Please join me if you like. I’m certainly curious where this new adventure will take us.